3.5 million years ago, when our ancestors were just beginning to walk upright, the real rulers of the Earth were carnivorous birds with hooked beaks who stood up to ten feet tall as they stalked their prey in the grasslands, apex hunters who were even able to compete with the fearsome saber tooth cats in a time when low sea levels and frozen land bridges were not uncommon. Paleontologists in South America recently uncovered a new species of these large avian predators, known as “terror birds,” an almost complete skeleton, which is already revealing a great deal about how they hunted. The fossil was first discovered on the beaches of Mar del Plata back in 2010, a city located at the eastern coast of Argentina, not far from the country’s fossil rich region of Patagonia, where many intriguing species of Cretaceous dinosaurs have been found in recent years. Over 90 percent of the creatures bones remain intact, according to the lead researcher on the study, Federico Degrange, who serves as an assistant researcher of vertebrate paleontology at the Centro de Investigaciones en Ciencias de la Tierra and the Universidad Nacional de Córdoba of Argentina. The scientists have given this particular species of terror bird a new name: Llallawavis scagliai, merging classical Latin with the Quechua dialect spoken in the central Andes. “Llallawa” is the Quechua word for “magnificent,” while “avis” is Latin for bird. The name is in honor of the Argentine naturalist Galileo Juan Scaglia (1915-1989), who was the former director of Mar del Plata’s science museum. Scaglia’s own grandson discovered the bird fossil, and the findings were documented this week in the Journal of Vertebrate Paleontology. Due to its exceptional preservation, the fossil has been an invaluable resource for studying the terror bird’s anatomy in depth, allowing for a fairly accurate reconstruction of the animal. The specimen marks the first time a fossilized terror bird with a complete trachea and complete palate (the roof of its mouth). 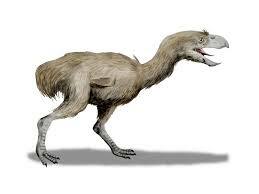 It’s a bit smaller than most species in the terror bird family, and was also among the last to roam the Earth. Even more intriguing are the intricate bones of the animal’s ears, complete with its eye sockets, brain box and skull, which allow scientists to understand a great deal about the flightless bird’s sensory capabilities. A look at the inner ear structure of L. scagliai would suggest that the terror bird was capable of picking up low-frequency sounds, meaning it was capable of listening for only the footsteps of its prey hitting the ground with a low rumble before striking. It may have also used noises of low frequency to communicate with other members of the flock, as the bird was a known pack hunter – sending messages in pitches that only they could hear. , who has collaborated before with Degrange, but did not participate involved in the new study. “Low-frequency sounds are great for long-[distance] communication, or if you’re a predator, for sensing the movements of prey animals,” Witmer said in an interview with Live Science. This ability gives L. scagliai some famous company. Other animals that are capable of hearing low-frequency sounds include the greatest prehistoric hunter of all time – Tyrannosaurus rex, as well as modern day elephants and rhinos, and even crocodiles, which are distantly related to modern birds – an ancestry dating back some 230 million years. Another surprising feature the researchers took notice of was the bird’s skull, which they found to be surprisingly more rigid than the skulls of other birds. This, however, may actually have worked to the bird’s advantage, according to the scientists, because a rigid skull would have enabled the terror bird to crush the jugular vein of its prey with a large beak, likely the way in which it brought down prey. “Terror birds didn’t have a strong bite force, but they were capable of killing prey just by striking up and down with the beak,” Degrange said. The near-complete skeleton also indicates that the terror birds were of a much more diverse variety during the Late Pliocene epoch than what experts had once thought. The birds enjoyed a considerably long period on this planet. They emerged in the Cenozoic, with the oldest fossils dating back between 52 million and 50 million years ago. The latest species are estimated to have died out 1.8 years ago, although some scientists maintain that there may have been terror bird populations that only became extinct as recently as 17,000 years ago – coinciding with the arrival of the first humans in South America. Evidence for this is rather sparse as of now, according to Degrange, although large predatory flightless birds did have populations on islands in the tropics until about 400 years ago, such as the moa. The only one that survives today is the cassowary, found primarily in Papua New Guinea, and has been known to attack people. While it’s an exciting time for the researchers, classification is only the initial stages. In the years ahead, they hope to further study in depth the terror bird’s eye bones, brain case and skull over the next several years, hoping that they will come to a deeper understanding of how the bird saw and other capabilities that allowed it to hunt so successfully through the grasslands of the Pleistocene.